CJ SHEERAN are Ireland’s largest used pallet recovery operator, recovering and recycling in excess of 1.5m used pallets per annum. 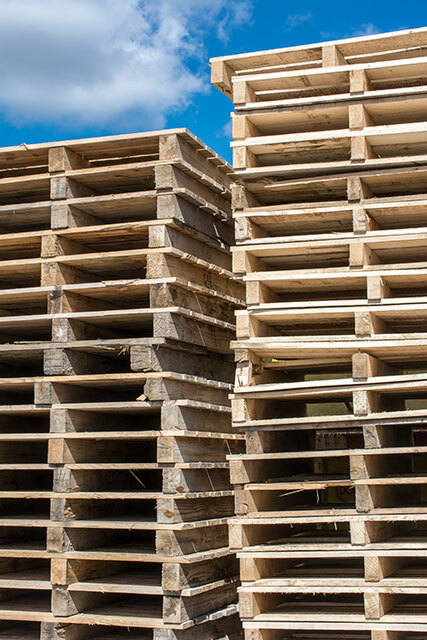 We provide our customers with a fully licensed and cost effective service for the removal and recovery of used pallets and wooden packaging waste. We possess a Multi-Region Waste Collection Permit and Site Licences which permit us to both collect and recover this waste stream, which falls under European Waste Catalogue (EWC) Code 150103 – Wooden Packaging Waste. We are also a Repak™ Approved Packaging Recovery Operator. Contact us now to discuss your pallet recovery requirements.